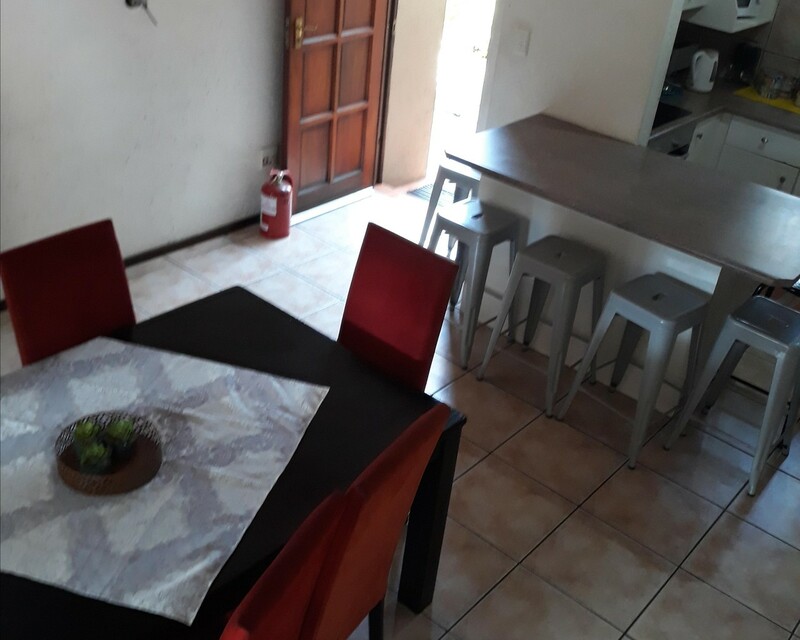 Lovely spacious 3 bed thatch duplex unit with easy access to the N1 / Malibongwe Drive. This lovely duplex thatch offers open plan kitchen with ample cupboard space, open plan living area downstairs with tiled flooring, door to patio and communal garden, 2 bedrooms downstairs with laminate flooring (one room has built in desk and cupboards), 2 bathrooms downstairs (main en suite with shower, basin and toilet and 2nd full bathroom), storeroom under staircase, stairs leading to loft area with laminate flooring and spacious 3rd carpeted bedroom with built-in cupboards with door to balcony. Aircon. Covered parking bay and 1 open bay. No pets allowed. Pool in quaint complex.